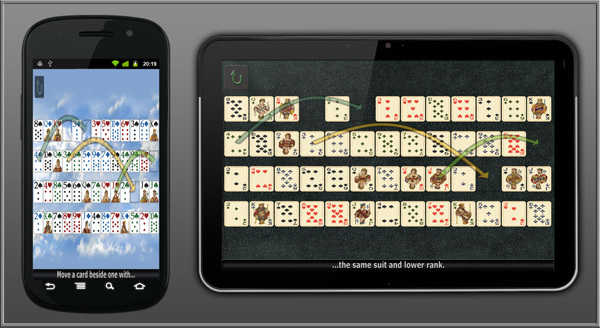 Welcome to the Solitaire 3D Official Home Page. Scroll down for more information about the game. For best viewing, select 720p and view in fullscreen (video will be blurry otherwise). Solitaire 3D is now available for iPhones, iPads & Android! Comes with 4 free solitaire games. Available for both Macs and PCs. GrassGames will return your money in full, at no cost to you whatsoever. All major credit cards accepted. Phone and fax orders available also. Click any of the following images to see some screen-shots of the game. Comments, suggestions, or having trouble ? Check out the Solitaire 3D Forums here.